Queenstown is not only home of Bungy Jumping, it is New Zealand’s center for all adrenaline sports. And accordingly it is the mountain bike Eldorado of the South Island. 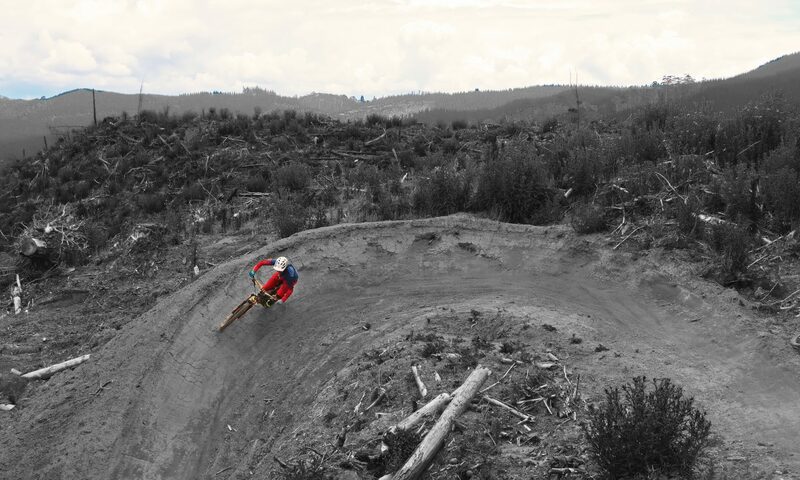 The riding area closest to town is the Gondola assisted Queenstown Bike Park plus Fernhill Trails offering a wide variety of trails and lots of downhill fun. However, on most of my runs I found myself on the “Original”, a fast trail loaded with roller-coaster berms and tabletop jumps. The 7 Mile Riding Area just a few miles away from downtown Queenstown is another bike park that guarantees for good entertainment on two wheels with its nicely shaped trails. The trailhead is on a beach of Lake Wakatipu and offers pleasant après-bike cooling on hot days. Cardrona is another ski-resort in winter that opens their lifts for mountain bikers in summer. It is a 40 minutes drive away from Queenstown and is one of many more options to explore more awesome MTB-trails in the area.